Annual the Global Business Roundtable Future Leaders Student Chapters invites Universities from across the Globe to participate in a bout of mental jousting. 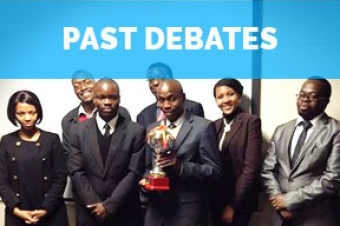 Since 2014 the FL Student Chapters Department has hosted the Annual Inter-varsity Debate. 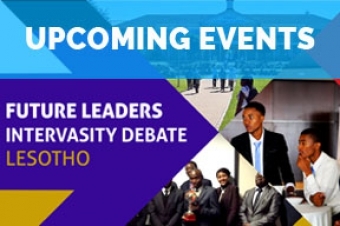 The debate seeks to promote curiosity and research amongst students whilst also creating a platform for networking and interaction amongst members of the various varsities. In its inaugural year 2 nations where represented and National University of Lesotho crowned the champions. The winner each year wins the rights to host the tournament the following year. 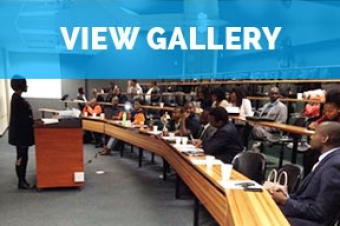 The Intervarsity debate is expected to grow in leaps and bounds as more universities come into the GBR fold under the Vision 2020 Initiative. The event is capped by a pitting of wits of the judges on the panels to show their dexterity in an improptu debate. It is envisioned that by 2020 the representation will be of country teams and not purely of varsities. The prestige and honour of winning and carrying the pride of being champion for an entire year is a great motivation for participation.